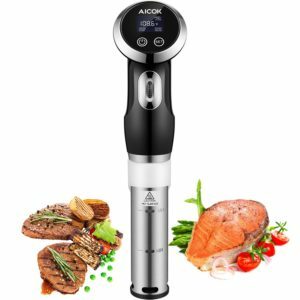 If you are an enthusiastic cook interested in and always looking for improving your culinary skills, there are high chances that you know about sous vide cooking technique. But still if you don’t know, it’s a cooking method of vacuum-sealing food in a bag and then cooking it in a water bath to the desired temperature accurately to get restaurant-quality results. Any other cooking technique cannot achieve such results. Why Should You Cook Sous Vide? If you are interested in bringing more and more perfection in your cooking, you’ll love to try sous vide cooking. 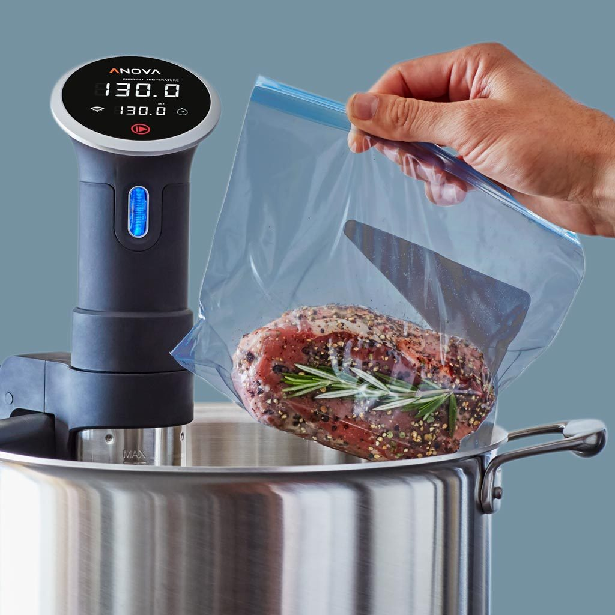 The reason for the uniqueness of sous vide cooking is that it uses accurate temperature control with circulation whereas in other cooking methods, you have no control over temperature. It’s all about guesswork when it comes to cooking with any other method. 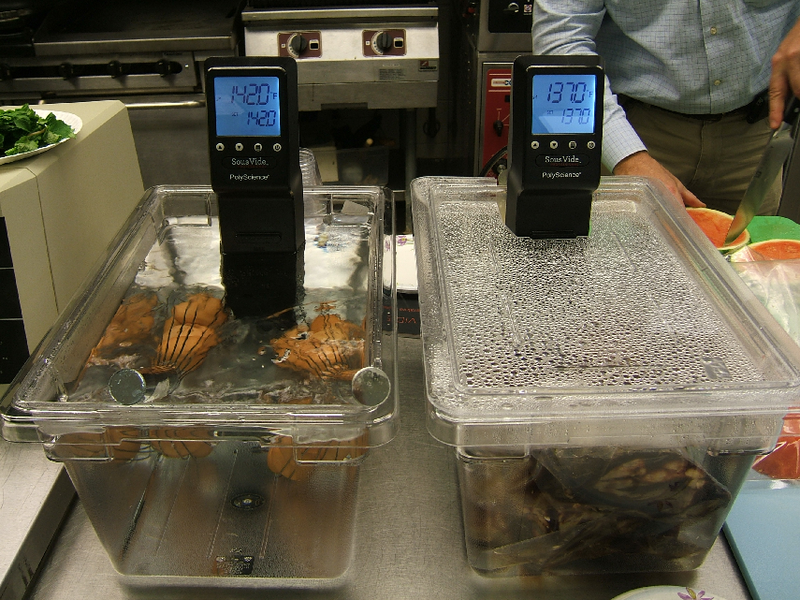 Sous vide machines have been used in professional kitchens since decades across the world. But those are expensive, bulky and loaded with complex features. But now sous vide machines are available for residential kitchens too. Thus, you can now get the best sous vide for beginner or pro as you want. There are mainly two types of machines from which you can choose according to your need to build your perfect sous vide setup. These are usually known as countertop water baths. They are around the size of a microwave and are fully-contained. They heat water but don’t circulate it. This can result in inconsistency in the food’s texture. This is a standalone device, an immersion circulator which heats water and keeps it circulating across the pot to maintain accurate temperature evenly. This is a more reasonably priced and easy-to-use option between the two types of sous vide machines. They don’t have a built-in water bath and hence take up a very small space in your kitchen. Immersion circulators don’t need any additional equipment to begin operating since they just clamp on and get adjusted to any pot. 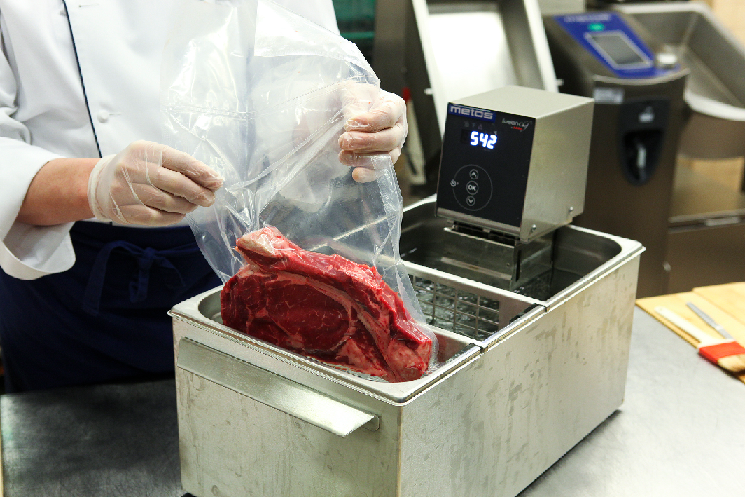 In sous vide cooking, sealing food is an important part because it prevents evaporation of liquids and enables the most efficient transfer of energy from water to food. For this, just place your food in a plastic bag and take out air with the help of water immersion technique, a vacuum sealer or a straw. But there are more alternatives too. You can also use canning jars for sous vide cooking, for almost any dish including grains, beans and even desserts like custards and cakes. You can get reusable sous vide bags made from silicone with which you can enjoy the same high-quality results every day. These are very versatile and can be used with the water immersion technique to take air out from the bag. BPA-free, heavy-duty bas are recommended, such as freezer bags by Ziplock. You can go through top 5 sous vide immersion circulator under $100 and find out the best one for you. Now simply clip it to a container or pot and fill the pot with water above the minimum fill line on the immersion circulator’s sleeve. Season your food and place it in your choice of packaging bag or jar and suspend the bag in the water bath and attach it to the side of the pot with a clip. Press start. Get tasty food with this innovative method. So, are you ready for sous vide cooking?